A lot of organizations treat recruiting and onboarding like fishing: dangle the bait, hook ‘em, reel ‘em on board, and then…well, there isn’t a ton of concern about the fish’s experience after that. Many companies are able to attract new talent with a promising interviewing process, but they often falter with the very next step when they don’t provide an equally comprehensive onboarding program. They’re so focused on getting people in the door, they forget to pay attention to what happens after people enter the building—and they end up leaving their brand-new, hard-won talent wondering what they signed up for. While savvy organizations have known this for a long time, BambooHR’s most recent onboarding study, which gauged the thoughts of more than 1,000 U.S.-based full-time employees, revealed just how impactful effective onboarding can be. An effective onboarding process helps build stronger bonds, increase confidence, and improve the overall employee experience. 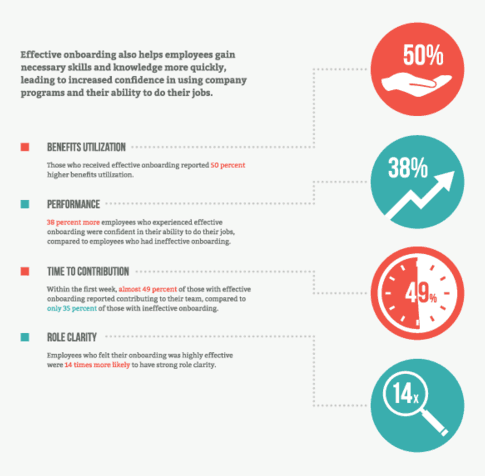 Employees feel significantly more committed to an organization if they’ve received effective onboarding. This could be because the onboarding process helps them gain the tools and knowledge they need to be productive and happy in their roles. Investing in the employee, their overall experience, and their success translates into a stronger bond between employer and employee. 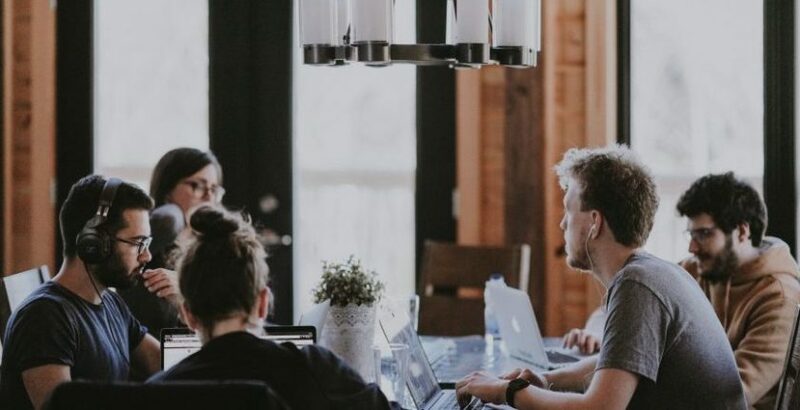 Effective onboarding also helps employees feel more connected to co-workers, especially when the process involves getting-to-know-you activities and peer-to-peer training. These activities push employees to build stronger relationships that help them feel more connected to the organization. Effective onboarding also helps employees feel more integrated into the company culture, which is essential if a company cares to maintain its culture’s integrity. All new employees should be well-acquainted with the company’s culture and values, and effective onboarding allows new hires to understand each more quickly. Effective onboarding programs should include highly detailed, comprehensive training so employees feel more able to perform independently. When employees are more confident in their abilities, they contribute more quickly to their teams, increasing the return on a company’s hiring investment sooner. Role clarity improves as well when effective onboarding takes place. Possibly because employees have a stronger connection to their managers or receive greater alignment through comprehensive training, employees who have experienced effective onboarding have a better understanding of their role within the company. Taking care to ensure new employees fully understand their role within the company is essential to building a confident and capable workforce. Onboarding is as much about training the employee on their responsibilities as it is about showing them all the amazing benefits of working at your organization. Taking the time to do just that during onboarding helps employees appreciate the company more and increases their job satisfaction. This also improves employee engagement, since employees more genuinely engage when they are invested in the organization. Effective onboarding builds a sense of trust and support between employers and their employees. It’s no surprise, then, that employees who feel their onboarding process was effective also feel more supported by their organization. Additionally, effective onboarding correlates with employees’ perceptions of the HR team and company performance. Those who went through effective onboarding were more likely to report that their HR team was highly capable and their organization performed strongly. Investing in effective onboarding is investing in your organization’s overall performance and business outcome. Business leaders need to assess how effective onboarding can positively impact their workforce and understand the costs that may incur as a result of sticking with insufficient practices. The benefits of a comprehensive program are clear and employers can no longer afford to keep ineffective systems in place. About the author: Kelsie Davis is the Brand Journalist at BambooHR.